This navy and pink foulard floral design is a new addition for designer PUCCINI. 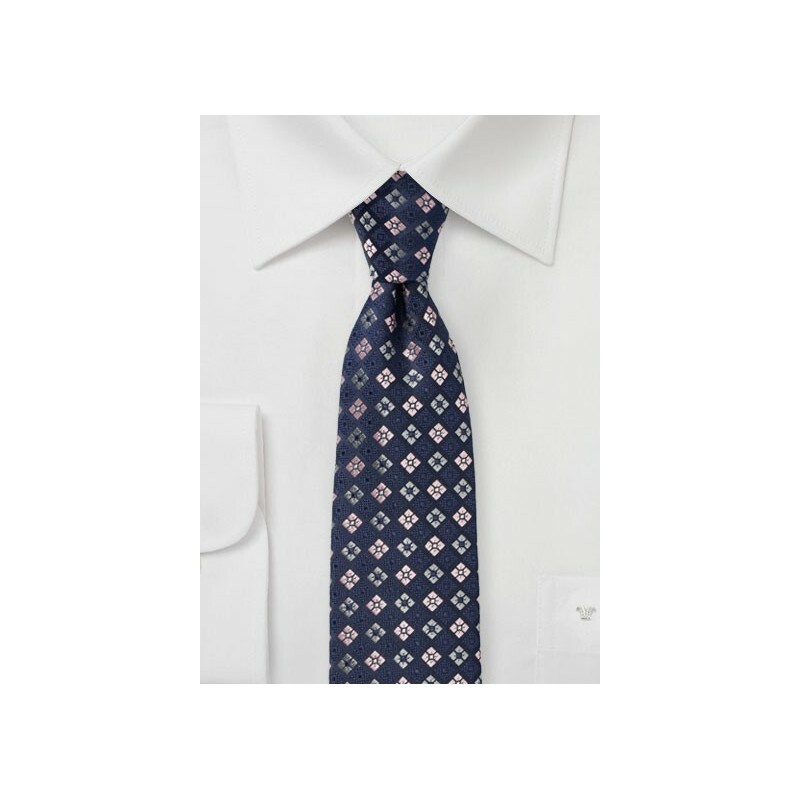 The dark navy background is decorated with a woven check pattern of florals in light pink, silver, and midnight blue. 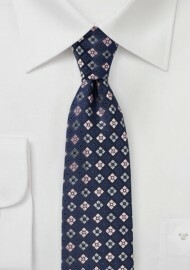 A great tie to add to pink, gray, light blue, or white dress shirts. Made by hand from woven satin finish microfibers.